A few weeks ago, I was listening to a speaker who reminded us that as Christians we are to forgive others. From somewhere around me I heard a muttered, "Well that's easy to say, but much harder to do." I don't think anyone reading this would deny the truth in that statement. But the problem I see, is when we rest in that statement instead of acting in the Spirit. But I don't think that forgiveness is the only thing we do this with. 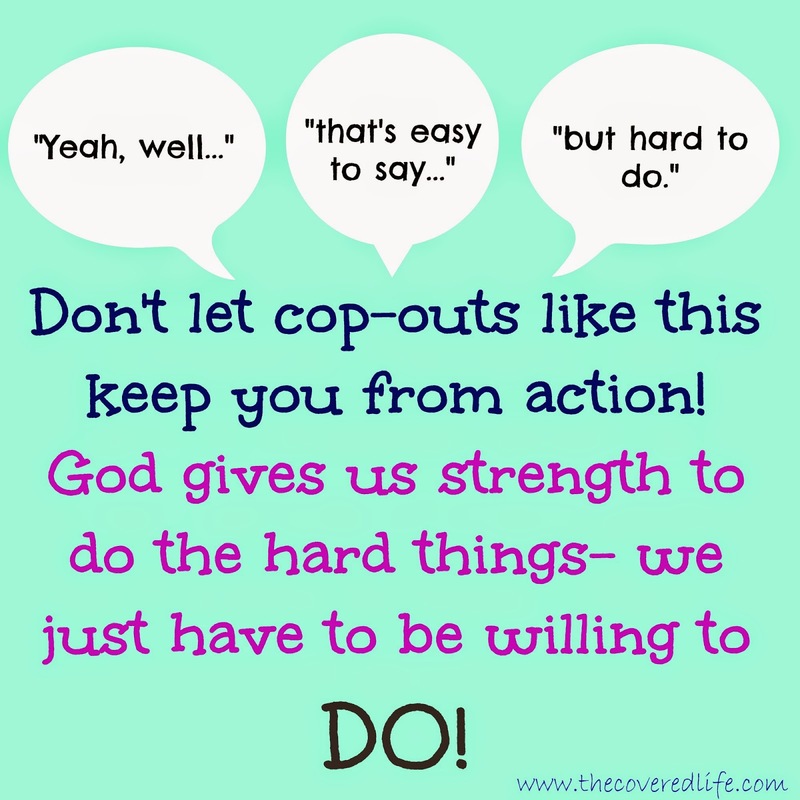 I think you could take any of God's commands and insert them into this way of thinking- that it's just too hard, so it's okay not to do it. And that is a lie. It's a big fat lie that we tell ourselves and we tell others. And our only justification is that it's too hard to do, so I won't even try. On our own, a lot of things are too hard. But when we become Christians the Holy Spirit comes and resides in us. The Holy Spirit isn't talked about a lot, but it is the third part of the trinity- part of our triune God. The power of the Holy Spirit, the very power of God, is within us. We have to stop with excuses and start walking in the spirit- which is walking according to His word, and striving to look more like Christ. Clare from Peak313 fitness shared this picture on her Instagram the other day, and I thought it was so appropriate to this topic. Let's stop saying, "I'm Human" (we have all thrown that statement out before to excuse one action or another) and start saying, "I'm Saved." 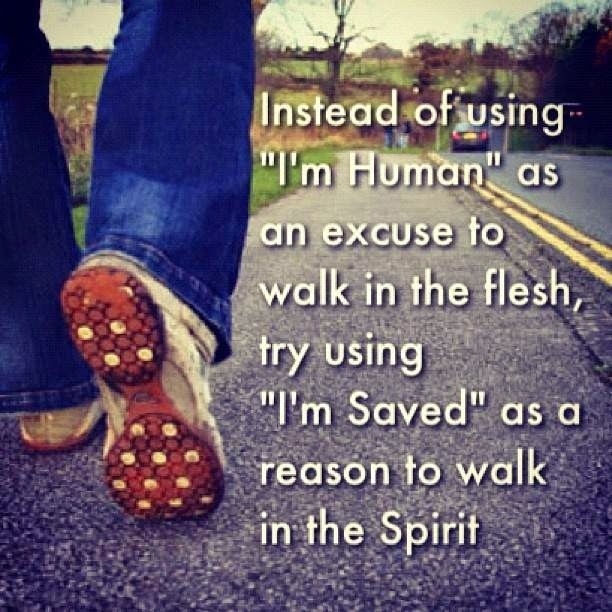 Let's walk in the Spirit together!